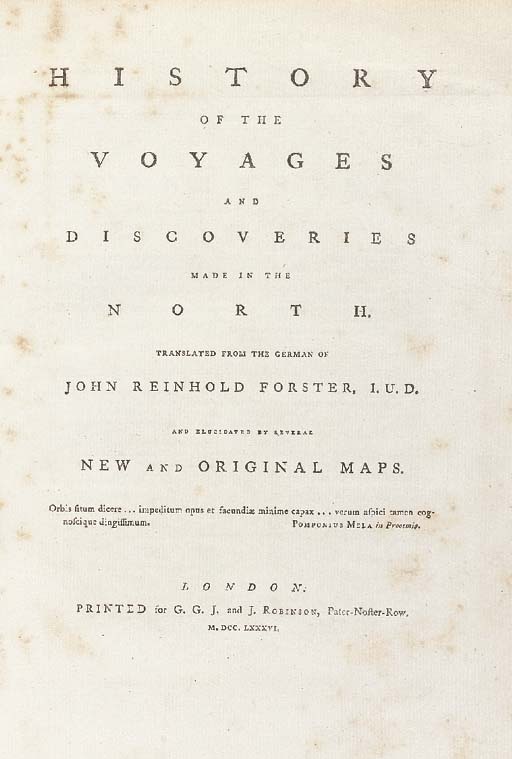 History of the Voyages and Discoveries made in the North. Translated from the German of... Forster. London: for G.G.J and J.Robinson, 1776. 4° (279 x 220mm). 1p. errata, 3 folding engraved maps. (Some spotting, generally light.) Contemporary diced russia gilt (expertly rebacked to style). Provenance: Anthony Michaelis ('A.R.Michaelis' bookplate, sale Christie's 22 April 1988, lot 286).